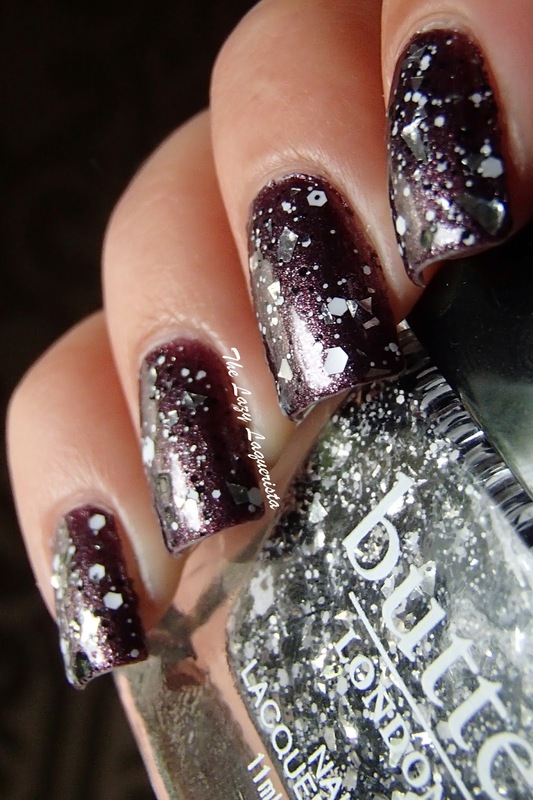 Today I have a Butter London glitter topper to show you. I received this as a gift from one of the members of my birthday swap group. I love the mix of black and white so I was excited to try this one out. 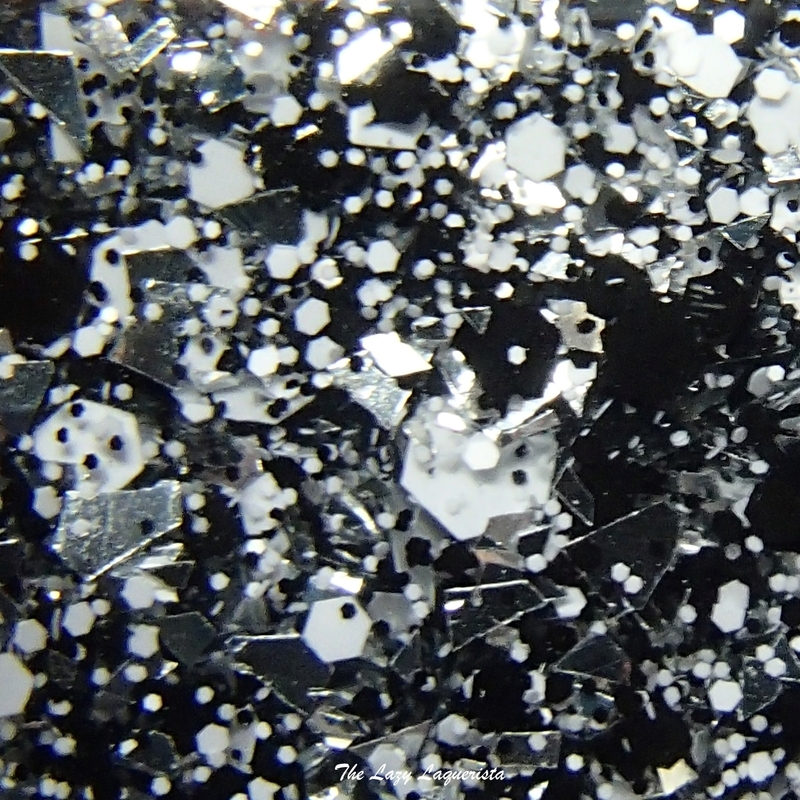 Anorak features a clear base packed with various sizes of black and white hex glittter as well as silver shard glitter. The formula was really good. There was very little dabbing required to get glitter all over the nail and the glitter payoff was very good. I was a bit wary of the shard glitter since it and I do not usually get along. However, the silver shards in this polish lay flat on the nail so no issues there. I really like the irregular speckled effect this topper produces. Photos show one coat of Anorak over Leesha's Lacquer Red, Red Wine with one coat of HK Girl top coat in natural lighting.